Make the Azure Flaming Fists, Dark Energy of Despair and Shadowblast Flames have the same animation as Unarmed. Do not include the flaming fists weapons from the Book of Lore. Let them stay as daggers. The Queen's Claw - a Queen of Monsters themed weapon. Used only by her most noble and loyal servants; receiving one from the Queen herself is an honor. Temblor's Blessing - A staff made from a limb of the a tree rumored to be sown and blessed by the Avatar himself, hence the branches encircling his visage. Guardian's Wrath - The mystical and powerful bow wielded by the elf Inwe Anclaime, guardian of the Avatar Temblor and all his creations. Allow players to adjust weapon damage range. Description:Forged with souls of the dead on the war field,the Fire lord created this sword to bring destruction upon his enemies. Concept Description: The daggers should resemble a dual wield of the Oblivion Blade of Nulgath (main/right hand) and the Consciousness Blade of Nulgath (off/left hand), respectively. 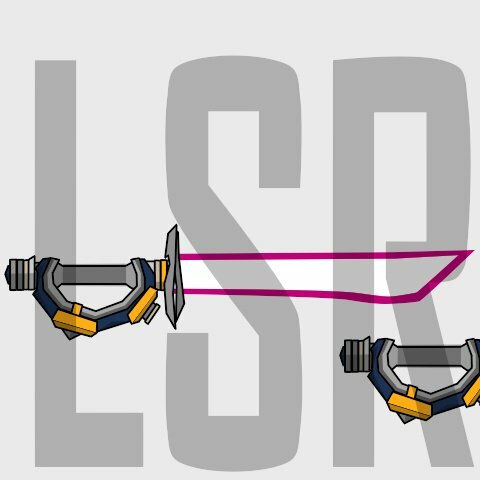 In Game Description: These mysterious, living blades have destroyed and saved innumerable lives. You know of only two who have had the power to wield them, the old ones. And now you may wield their power and live to tell about it… for now. Acquisition/Considerations: Given the 'rare' status of the items incorporated in this suggestion the daggers should either be available during an event for ACs, available in the suggestion shop for a limited time akin to the recent Archfiend DoomKnight set, and/or via a quest requiring any of the previous variants of the original Blades of Nulgath to commence i.e. Oblivion Blade of Nulgath (sword), Consciousness Blade of Nulgath, Obsidian Blade of Nulgath, Cyber Oblivion Blade of Nulgath, or Cyber Consciousness Blade of Nulgath. Celestial Feather of Valor on Imgur. Celestial Feather of Valor on twitter. "Red like roses fills my dreams and brings me to the place you rest"
Note: This is a parody of RWBY. 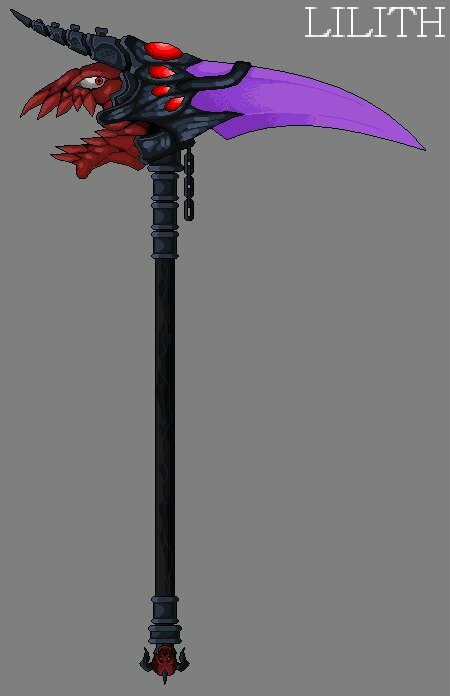 Gravelyn's standard DoomBlade was evolved into this version after she taps and controls the powers the Queen of Monsters gave her, alongside with the powers of the Undead Legion and the Nulgath Nation. Sepulchure's power now seeps in within more than usual. Please tweet to @HeroViolatorFer, should you have any queries!